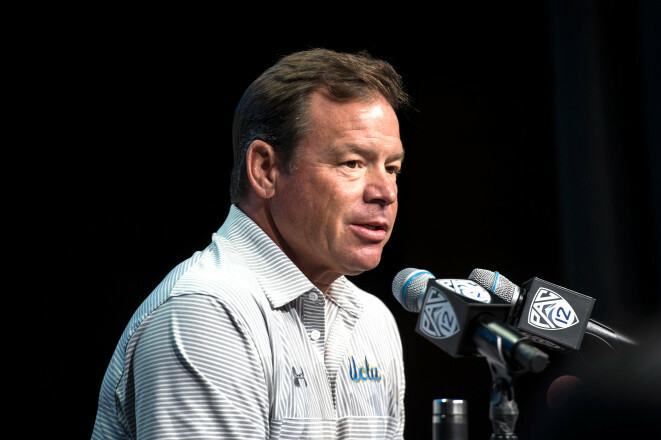 UCLA players got a surprise on Sunday night as Jim Mora cancelled their final practice of training camp. Mora was scheduled to make a media appearance after practice, but instead will speak again Tuesday evening, after UCLA resumes practice at 2 p.m. So with the sudden end to training camp, there will be no practice report Sunday, but there will be answers to your training camp questions Monday. If you have questions, drop them in the comments section on this post. 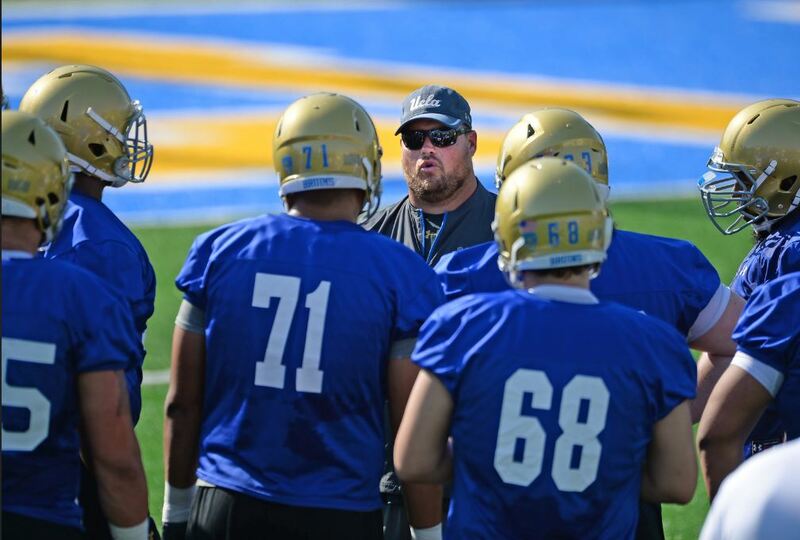 UCLA had a solid idea for its starting offensive line, but halfway through training camp, offensive line Hank Fraley made a change. He moved redshirt freshman Michael Alves into the No. 1 unit at right guard, which pushed Andre James to right tackle and put Kenny Lacy and Sunny Odogwu firmly with the second group at left and right tackle, respectively. Despite some early struggles, Alves has proven to be worth the trouble. 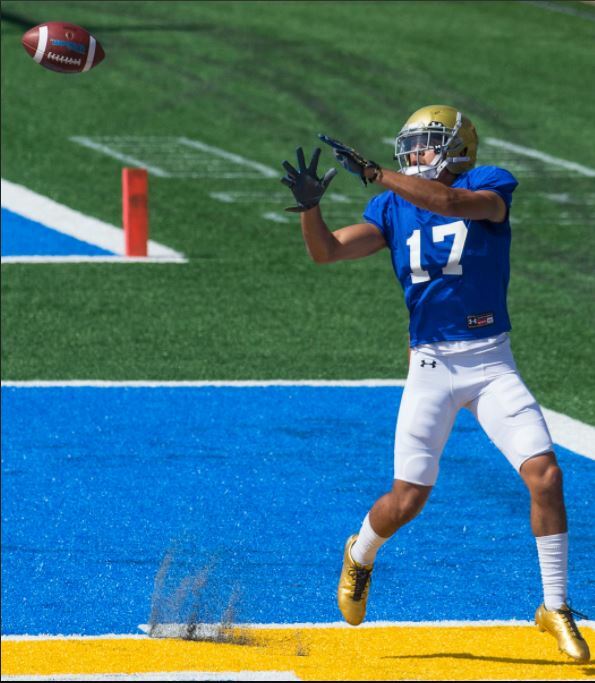 Caleb Wilson is already one of UCLA’s most consistent pass catchers and now the redshirt sophomore tight end is trying to be one of the team’s most consistent blockers as well. 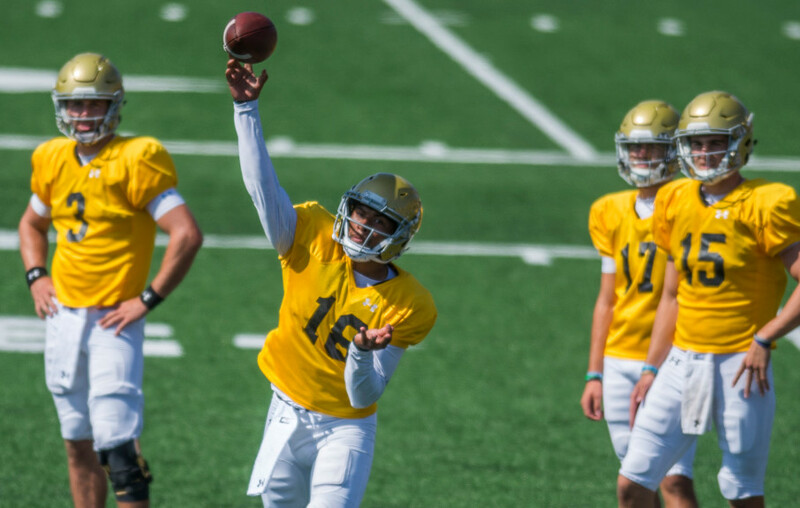 UCLA hopes it won’t have to turn to a backup quarterback for the second straight year, but the Bruins know the importance of the position all too well. 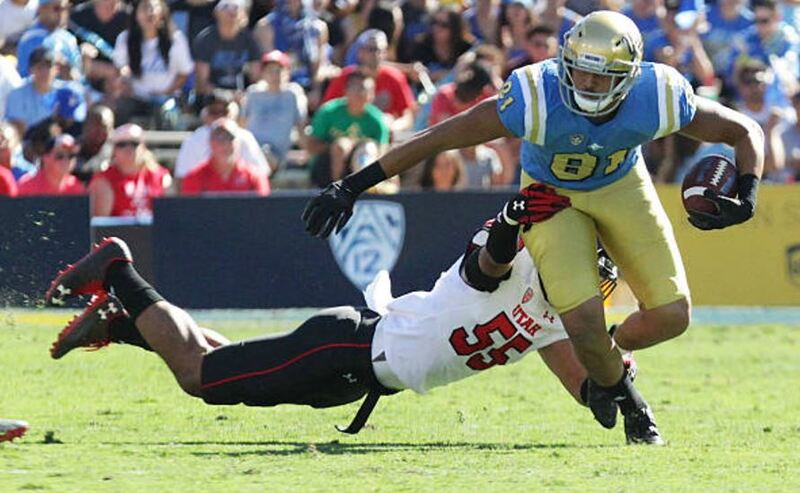 If disaster strikes twice at UCLA, it will be Devon Modster who would step in for Josh Rosen. The former Tesoro High standout has proven to be an effective dual threat, but is working on developing his voice in the huddle. After three years of being a loyal scout-team member, Christian Pabico is finally getting his chance. The walk-on receiver has turned into a star of training camp, rising from fourth string to potential starter in two weeks. He’s worked with the No. 1 offense since the sixth day of practice. He catches the ball consistently. He runs the right routes. He knows the playbook. He does everything right and that’s why everyone on his team loves him.